Welcome. Some of you may know me in person and others of you may know me through the contact we have. 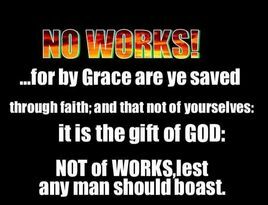 I am a Bible believing Christian, who believes in faith in Christ alone saves. I also see the fast approach of our Lord & Saviour Jesus Christ in many of the world's events fulfilling Bible prophecy at a frightening pace. We are on the very edge of Jesus coming back for his Bride, the Church. With it, I have noticed a strong upswing in resistance to our work as Christians, including but not limited to false teachings and cults. This is my small part in trying to stem this ever growing tide. It is my hope and prayer, that all who visit this site will repent(change your mind) about sin and BELIEVE by accepting(trusting) Christ Jesus as their Savior to be saved. If you wish to know how, click here. I hope these studies will be informative as well as thought provoking for your Christian growth, as they were for me. Feel free to use this site as your own personal witnessing tool as well. Let everyone know the God of Israel who wrote the Bible truly EXIST and God's Free Salvation Gift desires everyone be saved and have a relationship with Him. Please sign into our FORUM and post responses, hellos, improvements, mistakes, or concerns there as I check it often. I'd love to know that you've been by. Thanks. This site is constantly under construction with more papers being added to daily. Which Bible Version is Right?